Agents of Change and their critical role in societal development: The Case of Maré. Last year I decided to take part in a course called “Radical shift, Incremental change – Rio de Janeiro” at the Royal Institute of Art in Stockholm. Driven by the curiosity about the complexity of urban life, and attracted by the idea of exploring urban informality as a rich source of knowledge, my classmates and I visited Rio de Janeiro with the objective of getting some insight about life in informal settlements. When visiting Rio, we had the privilege of meeting people from different backgrounds who introduced us to the beauty and intricacy of Carioca life. 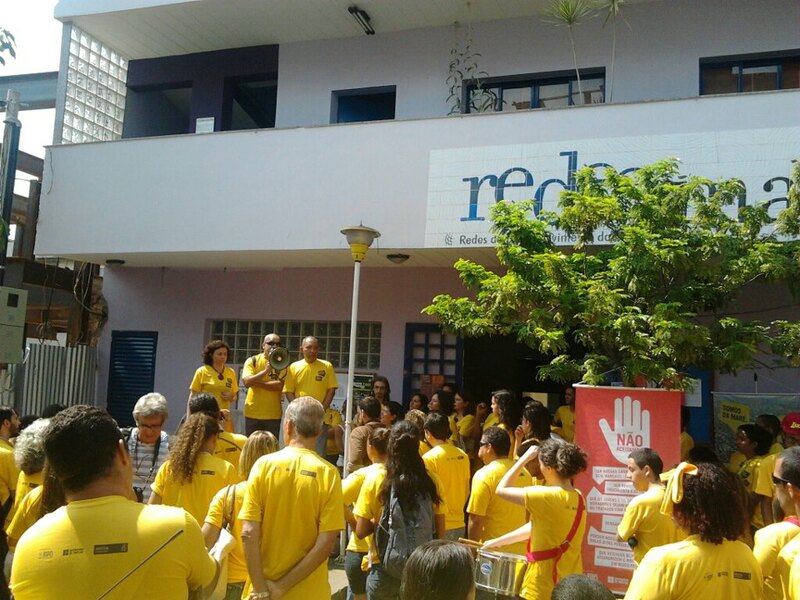 In order to learn more about the real Rio, our strategy was to interview people from the City Hall, people from different social organizations and NGOs as well as local people. More specifically, we had the opportunity of meeting and interviewing people from Complexo da Maré, one of the largest favelas in Rio. This urban complex consists of sixteen areas–known as “communities” by their residents–where roughly 130,000 people live. Throughout the 20th century, this neighborhood has gone through many changes. Maré is the result of shifting policies that have forced people from different favelas in Rio to move into it. This situation has brought along many challenges when it comes to the shaping and transformation of its identity. To some extent, Maré was seen as a temporary solution to the city’s housing challenges. Over the years, this area became a permanent settlement, and it was formally recognized as a neighborhood in 1994. Maré is comprised of a territory densely inhabited by low-income families that suffer from the evident lack of infrastructure and public space. In addition, they suffer the consequences of the constant turf wars among drug dealers, militias and the police and the invisible borders these forces have drawn within Maré. To make matters even more complex, this favela woke up to a military occupation by the UPP (which stands for “Pacifying Police Unit” in Portuguese) three weeks after our departure. This occupation was the first step towards regaining control, lost to drug traffickers. However, many residents are under the impression that this military occupation was a political strategy to control the area and keep the peace only while the FIFA World Cup was taking place in the city. This new situation has led to an even more complicated relationship between the police and the residents. Admittedly, this situation has exposed the residents of Maré to a militarized plan in which the construction of trust and peace are constantly crashing with a strict military logic. However, Maré is not a passive community. In fact, this favela is home to a well-organized civil society that has been continuously playing a critical role to address and improve the living conditions of its residents. 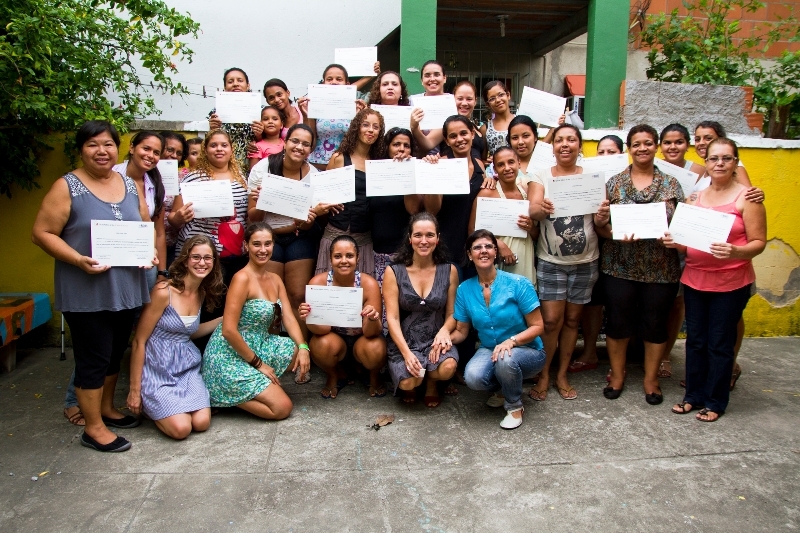 Complexo da Maré is a great example of how civil organizations can act as agents of change and mobilize communities towards shaping new opportunities for a better urban life. Due to the dynamics that resulted from a long period of neglect, new urban actors have emerged in this neighborhood. Observatório de Favelas (Favelas Observatory), Redes de Desenvolvimento da Maré (Development Networks of Maré), Conexão G (and LGBT organization), neighborhood associations, cultural organizations such as the Museu da Maré (Museum of Maré), as well as religious groups and many others agents are some examples. This emergence has been driven by the need to solve their needs when they cannot afford to wait for municipal authorities to settle their debts with the community. Locals started to work together in order to create a network of actors and projects that could influence the way the neighborhood has been shaped. They have been also united by the desire of providing information about citizens’ rights and promoting new opportunities that could help people from Maré to escape the grasp of criminal groups and achieve a better future. In addition, these civil organizations point towards new possibilities of interaction with the state, since they are fully aware that they cannot replace the state power. Their role is to exert pressure on the government to look after these communities and fulfill its duties. Redes de Desenvolvimento da Maré is one of the most vociferous agents of change in Maré. Redes is a civil society organization that works to mitigate socioeconomic inequalities in Maré, provide relevant information and raise awareness about different problems. This organization stands on three foundations: social mobilization, project management and research. Redes is the result of the collective work of its founders and the community movement towards the structural transformation of the different areas comprising Maré. It has endured a long process of social struggle to become a strong bottom-up initiative that resulted from the hard work of professionals and social activists from different backgrounds. The main goal of this organization is to drive a change and create alternatives to improve the living conditions of people from Maré and from other areas of the city. Redes has also created a new model of transformation. Through stimulating community mobilization and the development of different projects, it has confronted the different forms of violence affecting the population. In this regard, five lines of action have been identified, around which different projects are organized: (1) local development, (2) education, (3) communication, (4) public security, and (5) arts and culture. Consequently and in the light of these strategic lines of action, a new set of circumstances makes it possible for residents to get access to new activities that can improve their life, the quality of the neighborhood’s public space and the relationships between them. These projects have started to question the status quo and promote a transformative process that influences the construction of integrated public policies in Rio. The members of Redes have awakened the need to rethink the way they see their neighborhood and go beyond the fulfillment of the basic needs. “What is the Maré that we want?” is the question they are asking themselves. Certainly, a Maré where entertainment, art, culture, self-esteem and respect for diversity are important as well. Centro de Artes da Maré (Maré Arts Center) is one the projects supported by Redes. This project started as a desire to create a space for artistic exchange between artists from Maré and artists from all over the city of Rio, with a focus on contemporary dance. This center also generates new opportunities for children, youngsters and adults to become engaged with cultural activities that allow them to create new ties with their neighborhood. Since Maré is short of cultural infrastructure, this center also reifies the strategy of revitalizing the neighborhood’s social fabric. Another important and remarkable project is called “Lona Cultural Herbert Vianna”, which is a cultural amenity deliberately located on a street that became an invisible border within Maré some years ago. Drug traffickers and milicianos (members of the militia) exert control over certain areas and constrain the movement of people between them. The aim of this project is to connect the divided territory through cultural activities like theatre plays, dance shows and music events. Attending and participating children, teenagers and adults act as cultural ambassadors and promote the act of crossing this border without violent repercussions. Overall, the most praiseworthy achievements of this center are the reduction of the negative impacts that came with the invisible boundaries and the facilitation of life around them. Education is one of the key contributory and fundamental factors of social transformation in Maré. “Creche Comunitária Cléia Santos Oliveira” (Child Care Center) was founded by local people and emerged from the need of a community nursery in the 80s. After negotiations with the gangs involved in the conflict, Creche became a sacred space, protected from violence. Since early 2014, this center has been run by the municipal government. Women are also present in this transformative state. Maré de Sabores is another branch of Redes that strives for the empowerment of local women by introducing them to gastronomy. They take part in courses where they develop food preparation skills, and in workshops and group discussions about women’s rights, domestic violence, and citizen rights and responsibilities. The organization is now planning the construction of the “House of Women”, which is envisioned as a space that will have a restaurant, an office space, lecture halls, a library and a rooftop herb garden. Redes is a great agent of change, but so are the people engaged in its projects. They are everyday facilitators of change who work very hard to create new routines and new ways of living together. It is fundamental to take a deeper look at the social actions that are carried out by the different agents of change. Also, at their capacity to act together within these types of communities as a source of inspiration and knowledge about new solutions and tools to address societal challenges. Certainly, civil organizations are a new form of participatory governance whereby communities engage in the development of effective decision and policy-making. She is a Colombian Architect and holds a Master’s Degree in Development and Urban Planning. She worked for three years for the Department of Planning of the city of Medellín. During that period she was in charge of reviewing and approving urban projects related to transportation, public space, urban amenities, etc., after working directly with the communities involved. These kinds of projects were mostly performed in the poorest areas of the city. After concluding this period of her professional life, she lived in Barcelona and there she studied a Master in Urban Planning and Development focused on the transformation of cities in developing countries, at the Polytechnic University of Catalunya (UPC). Afterwards she moved to Sweden where she studied an advanced course in architecture called “Radical Shift, Incremental change: Rio de Janeiro” with the aim to explore current urban strategies and how they are affected by the global agenda. Currently, she is studying a distance course called “Feasibility Assessment of Urban Projects” at the Polytechnic University of Catalunya (UPC). Her plans are to return to Colombia and continue working on the transformation of cities.